AYA 20-BORE 'NO.3' BOXLOCK NON-EJECTOR, serial no. 515079, 27in. 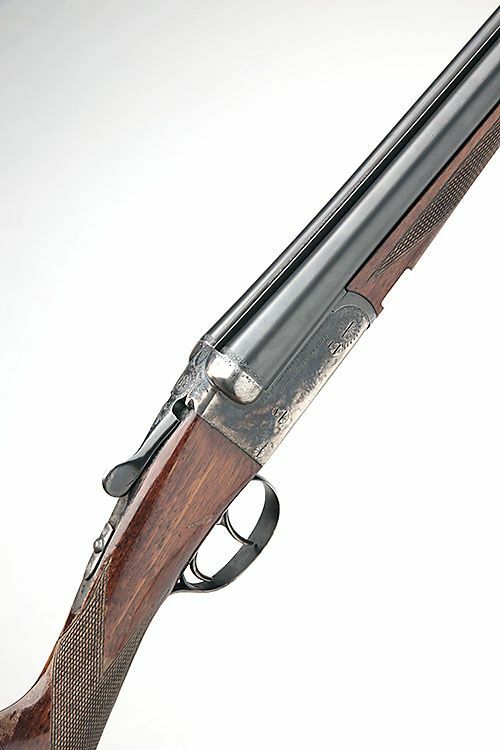 nitro barrels, 2 3/4in. chambers, bored approx. true cyl. and 1/4 choke, removable striker discs, automatic safety, border and partial scroll engraving, retaining some original colour-hardening and finish, 14in. stock, weight 5lb. 10oz.